We were in Downtown San Mateo this afternoon, so we looked for nearby places with good Yelp! reviews, and found Rave Burger on 3rd Avenue. Their beef is from Niman Ranch in Marin, and they have an extensive menu of burgers (of course) but also chicken, fish, and even crab cake sandwiches, lots of different appetizers, and even sliders. FUN! 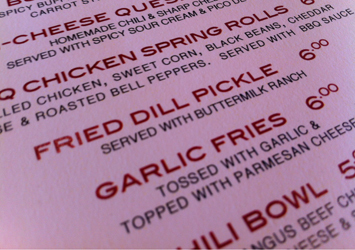 Checking out the menu, the thing that caught my eye immediately was the Fried Dill Pickles. What?! 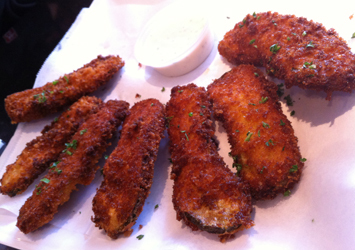 Fried pickles! Yum! 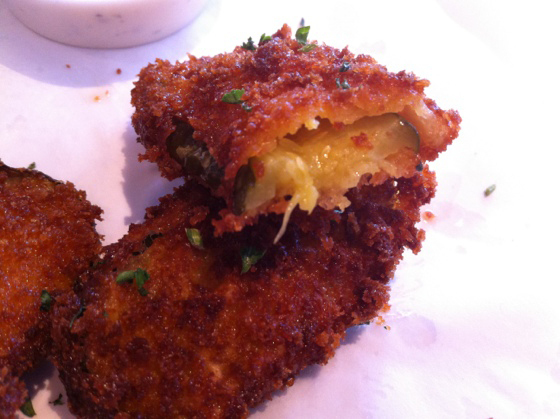 I love pickles and though we try not to eat them too often, we love basically anything fried. We had to try these. And … they were every bit as delicious as we expected. 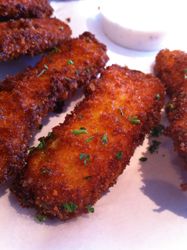 The salty, tart pickles were complimented nicely by the fattiness of the fried breadcrumb coating, and of course the Ranch dressing cut through both the breading and the pickle perfectly. This was so great! I’d like to make these someday myself. 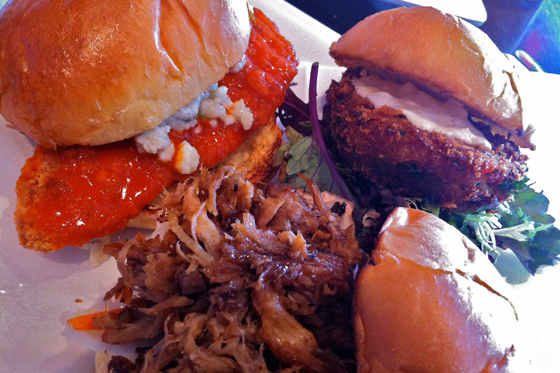 Oh, and the sliders we ordered were top notch as well – Buffalo Chicken, Crab Cake, and Pulled Pork. So good! 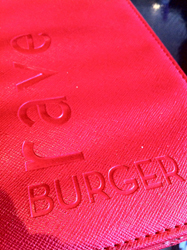 Next time you’re in San Mateo, pay Rave Burger a visit. They’re a local, independent restaurant that puts the customer and the quality of their offerings first, and it shows in the food they serve.